Hello, everybody, I am Anna Oscar, a baker by belief and a small entrepreneur by decision. I am currently in charge of my Scottish bakery I just opened in the Boston area, and I am here to tell you all about the trials and tribulations of owning this kind of business. My Scottish roots gave me a sweet tooth from birth, which means that I love cakes and pastries of all varieties to the extreme. I learned the tricks of baking from the talented women in my family, and I think it is safe to say that it was my dream from always to have a bakery of my own. I must tell you that, when I took the decision of opening a bakery, there were many who told me that I had to be more than just great at baking. And this is how I learned about the challenges of running a bakery in the real world, and, I would like to say, being good at it. Like any other business, a bakery comes with its risks, but also with its own advantages. The thing I like best about running this kind of business is that I am practically making and selling bread, pastries, and snacks that I love. I also know on good authority that there are not many people who would walk by a bakery from which pleasant smells waft into the street. It is almost a guaranteed success, and I love bringing smiles on people’s faces. Another thing that I find both challenging and rewarding is that your clients expect you to do more than just the same-old, same-old. That being said, I am on a constant lookout for new and interesting recipes I can share with people coming into my shop. Therefore, I often grab the phone and get on long conversations with my mom about traditional Scottish recipes, and I am happy to try the ones I don’t know anything about. There are, of course, things you need to keep in mind and always be aware of, such as health issues. Although I run a small bakery, and businesses that are not the same caliber as larger bakeries, are not subjected to the same strict regulations, I need to make sure that all the rules are followed to the letter. Even if in a bakery, we are working with high temperatures, which usually kill all bacteria, there are always risks of cross-contamination and employees need to be very aware of abiding by all the health related rules and regulations. My bakery is now thriving, and I am thankful for it. And I think small is beautiful, and I do not necessarily want to expand. This way, I can afford trying new things and offer exciting options to all my clients. Scots are known for a lot of things, some we are proud of, others not so much. But if we are to talk about pride, I guess nothing makes us prouder and also experience a mouth-watering episode instantly, then our bakery products. I seriously doubt there are many nations in the world as much in love in baked products as we are. I can tell you if you’re a Scot by what you used to have when you were a kid for breakfast, lunch, and dinner. 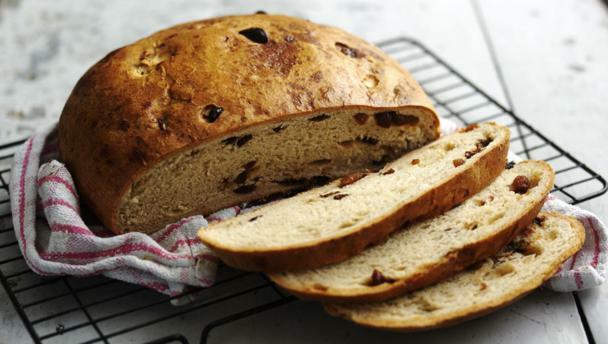 All kinds of bread should be on your list, as well as biscuits and cakes. We have a sweet tooth, and this shows in what kind of baked goods we favor. Our mothers and grandmothers must be the best in the whole world, seeing what kind of sweet treats they can bake. I am talking about everything, and simply because I love everything and I want everyone who happens to enter my bakery to have a taste of real Scotland. I love shortbreads, ginger bread, any fruit cake you can think of, scones, pancakes, oatcakes, black buns, Clootie dumplings and many, many others. Seriously, what’s not to like about Scottish baked goods? Even the type that is manufactured, like Lees snowballs and Tunnock caramel wafers is to die for. And then, like the list would not be comprehensible enough, we have Scottish baked goods that are specific to certain areas. The Forfar Bridie is famous worldwide, and the best you can have is, of course, the one made in Forfar. This recipe has a history of over 150 years, and it is said to have been a fixture at weddings. The people in Forfar love their bridies, since even the football team has a bridie as their mascot. I should also tell you about another regional favorite: Selkirk bannocks. In case you are a Scot, you most probably know very well that scones and bannocks are practically the same thing, and if you cut a bannock in wedges, you just call those scones. I love my Selkirk bannocks with plenty of raisins, and if you ever travel to their place of origin, you will notice that people here are not at all skimpy when it comes to putting as many of these as possible. 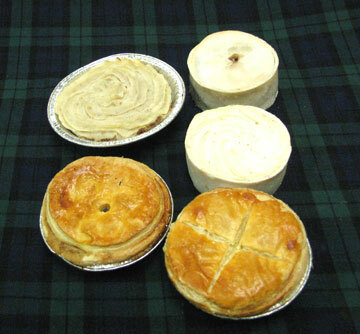 So, what should you know about Scottish baked goods most and foremost? 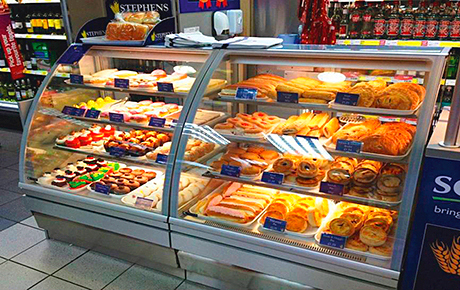 Off the top of my head, I’d say that it does not matter where you choose to travel when you get to Scotland; you will be welcomed with dozens of baked varieties, both sweet and savory, that you may just have a hard time choosing. I also strongly suggest that you do not consider going on a diet when you travel to Scotland; you will only end up sabotaging yourself. This is how a real baker should be like. 2019 Oscariana • Proudly powered by WordPress and Goedemorgen.